and though it says “we” it was my own wild heart I was lamenting. Recently, in the rain forest of Chiapas, I rediscovered my ‘wild heart’. I called it ‘alegria’, and experienced it as a sweetness and joy and freedom and presence in the moment. And fearlessness. I will be 70 next year. I want to live the rest of my life open to my wild heart. I ask myself what I have to change, what I have to give up, and what does wildness really mean? That last line strikes me. Couldn’t it be rewritten to apply to ourselves? The wild heart follows its own order, its own Tao, its own inherent way in the world. Isn’t that what Jung meant by individuation? And what does it mean to write from a wild heart? Does it mean you are free from the collective, free of influence? I never want to be free of empathy. 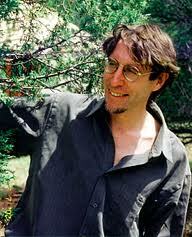 Recently we saw an exhibit of the ceramic sculpture of Stephen de Staebler. When he was young, he was guided by a love of ancient art - Egyptian sarcophagi, Mayan temples, medieval funerary art. He discarded these influences as he began to explore his own personal imagery and history. 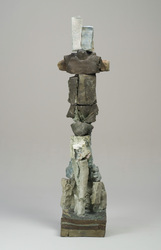 His work fuses rock and remnants of sculpture with the human body. His art became freer - it soared! He was creating from his own wild heart. Must we begin creating from the Outside? I think of our friend Lynn Franco, who, from the beginning of her work in ceramic sculpture, created spontaneously from her dreams and psyche. It isn’t all ‘alegria’. When the wild heart suffers, the inner world opens. Inside. Outside. Some of us are at the center of our fields, our art form, our social and political work, and some bring change in from the edge. I learned a great deal about the role of Outsiders from Linda Schele. At that time the central figures in Mayan archeology and epigraphy, academics from Yale & Harvard, were unable to move forward. There was no real progress in deciphering Mayan writing, history or mythology, because their Standard Model couldn’t be challenged. 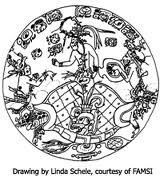 It was Linda Schele, along with a few others, who broke the Mayan code, interpreted the history of the rulers of Palenque, and discovered the astonishing fact that Mayan myth is a mirror of the constellations in the night sky. Linda called herself an Edgewalker. Edgewalkers push the box, and change its shape. They may do their work in more than one field, or straddle two cultures. They are the ChangeBringers, who force people to ask different questions, and provide answers that were never considered. Their lack of Traditional Expertise is the very qualification that allows them to break through to new territory. Linda Schele had a wild heart. 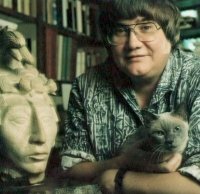 She had a passion for the Maya, and the fearlessness of an outsider unafraid to trespass on the center’s accepted truths. I have always been an Edgewalker, and I think of the Edgewalkers I know or know of: David Abrams, Carolyn Raffensperger, an attorney and founder of SEHN, whose Precautionary Principle is influencing the center, Mel Mathews of Fisher King Press, my visionary publisher, Terry Tempest Williams, writer, poet and environmentalist, and so many others in the arts, science, politics…….. I worry less that Yeats “Center does not hold.” I am counting on the wild-hearted Edgewalkers to take us forward. * The term Edgewalker is the title of a video interview of Linda Schele made in 1998, and released in 2010. A book with that title was published by Judi Neal in 2006.